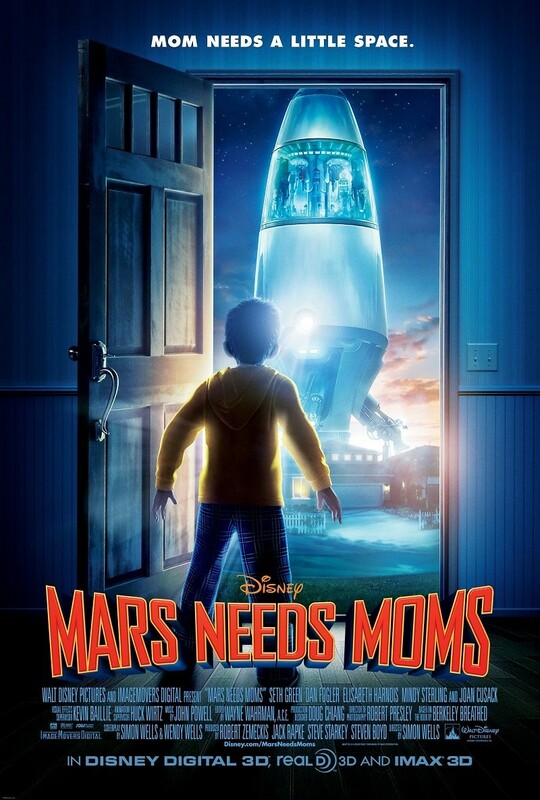 Mars Needs Moms DVD and Blu-ray release date was set for August 9, 2011. Martian society has no concept on how to raise children. The female offspring are put under the guidance of robots and the males are put into a sort of prison that is run by one, overworked supervisor. While researching Earth life forms, the Martians observe how an Earth child named Milo is cared for and nurtured by his mother. The Martians decide to abduct Milo's mom so that they can extract her brain from her body and use it to raise Martian children. Milo manages to stow away on the Martian ship that abducts his mom and he sets off to rescue her. While on Mars, Milo puts together a crew of friends that try to help Milo find his mom and take her back to Earth.